For many, the IPA is virtually synonymous with the copious use of hops (© Brian Brown/Beer In Big D). Today is IPA Day, a day set aside each August to celebrate craft beer's most popular style. Founded in 2011, what was once a hashtag holiday meant to bring craft beer drinkers together over social media is now an international event with festivities featuring IPAs occurring at bars and restaurants all around the world. Looking back, it was 2001 when the American-Style IPA became the most-entered category at the Great American Beer Festival for the first time. The category has held the top stop ever since, as the number of American IPAs entered in the competition continues to grow and set new records annually. In 2015 alone, a total of 336 entries were logged, representing a roughly 20% increase over the previous year. As for how popular the style is here at home, if the number of IPAs being produced is any indication, then clearly the IPA is king. Survey local lineups and you'll find that well over 60 different IPAs have been created by local brewers in recent years, with beers of American, Belgian and German influence being brewed to match style descriptors for session, single, double, triple and even quadruple IPAs. Going further inside the numbers, it turns out that nearly all of the 50 active brewing operations in North Texas have brewed at least one IPA. One outfit, that being Division Brewing, has crafted upwards of 10 different recipes. As for the holdouts, North Texans have yet to see an IPA from the likes of 3 Nations Brewing, Armadillo Ale Works, Barley & Board or Wild Acre Brewing. Of course, what's mentioned above only takes into account where things stand in the here and now when it comes to the IPA. There's more to the story, though, if you're curious about the IPA's place in North Texas brewing history. Granted, there was probably a hundred-year stretch when there wasn't much going on IPA-wise around these parts, but there are still stories to tell about the presence of IPAs in Dallas stores around the mid-to-late 1800s, and when the first IPAs were brewed locally during the 1990s. So, with that in mind, here are few highlights from the IPA's North Texas timeline. While the focus will be on local facts in what follows, it should be noted that the complete history of the IPA can be traced back to the late 1700s. 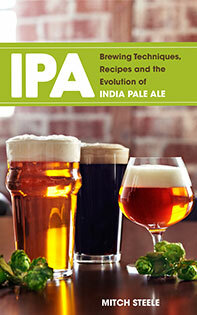 Given that, should you wish to delve into the details of how the style came into being, look no further than Mitch Steele's comprehensive work on the subject, IPA: Brewing Techniques, Recipes and the Evolution of the India Pale Ale. 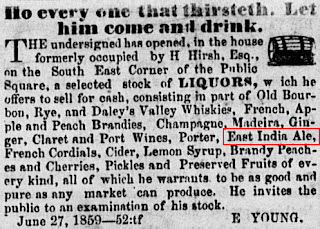 Some variation of IPA was selling in Dallas as early as 1859, when E. Young's liquor store offered "East India Ale" for sale, though no there were no details as to the branding given in order to identify the maker. Latimer, J. W. Dallas Herald, Vol. 7, No. 52, Ed. 1 Wednesday, June 29, 1859, newspaper; Dallas, Texas. (texashistory.unt.edu/ark:/67531/metapth294078/: accessed August 2, 2016), University of North Texas Libraries, The Portal to Texas History, texashistory.unt.edu. A similar story held true in 1870, when listings for the Mays Store advertised "India Pale" ale for purchase in both bottles and jugs. 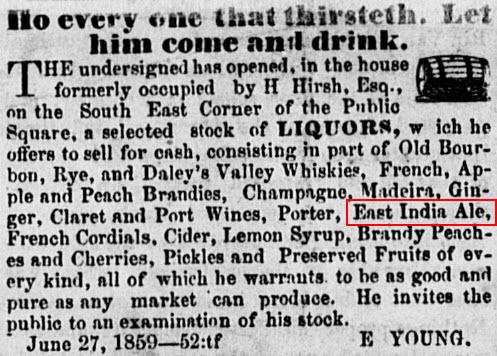 Despite that, newspaper ads in other cities provide clues as to who was supplying IPA to Texas at the time, with brands like Tennent's, William Younger & Co. and Bass being among those appearing for sale in the Galveston Daily News. Swindells, John W. & Hutchen, Virginius. Dallas Herald, Vol. 17, No. 28, Ed. 1 Saturday, March 26, 1870, newspaper; Dallas, Texas. (texashistory.unt.edu/ark:/67531/metapth294562/: accessed August 2, 2016), University of North Texas Libraries, The Portal to Texas History, texashistory.unt.edu. Shortly after the Texas Legislature legalized the operation of brewpubs in 1993, the Hubcap Brewery & Kitchen was open in Dallas and brewing Vail Pale Ale, a beer that won gold in the IPA category at the 1995 Great American Beer Festival. Its recipe was designed by Wayne Waananen, who at the time was the head brewer at Hubcap's original location in Vail, Colorado. Waananen would go on to work at other breweries, including the SandLot at Coors Field in Denver, but he published a homebrew recipe for his award-winning IPA in the October 21, 1995 issue of Home Brew Digest. It's reproduced here in case anyone wants to try their hand at brewing up a bit of history. 10 lbs Baird English 2-Row Pale Malt. 1 lb Baird English 2-Row 50-60 Crystal Malt. 1.2 oz. Centennial hop pellets (90 minute boil). 1.2 oz. Centennial hop pellets (60 minute boil). 1.2 oz. Cascade hop pellets (10 minute boil). 1.2 oz. Cascade hop pellets (end of boil). Wyeast 1056 American Ale Yeast. Mash at 68 °C for 90 minutes. Boil 90 minutes. Force cool and ferment with your favorite ale yeast (1056 works well). Rack into secondary, add finings and 1.2 oz. of Cascade whole hops. Let sit in secondary for three weeks, rack into serving vessel and force carbonate. 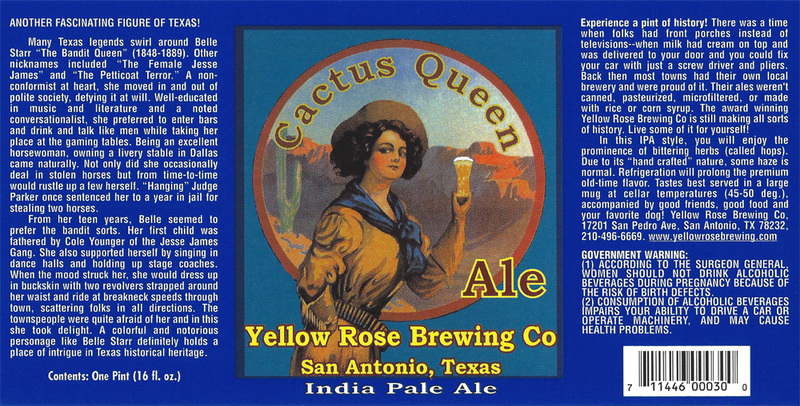 Cactus Queen's label tells the story of Belle Starr, a.k.a. the "Bandit Queen" (click to enlarge). Another borrowed recipe was likely the basis for the first IPA brewed by a production brewery in North Texas. 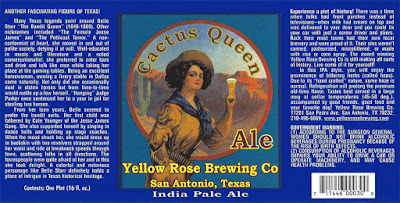 Great Grains Brewery of Dallas began producing Cactus Queen IPA in 2001, after the company purchased the recipes of the defunct Yellow Rose Brewing Co. of San Antonio. 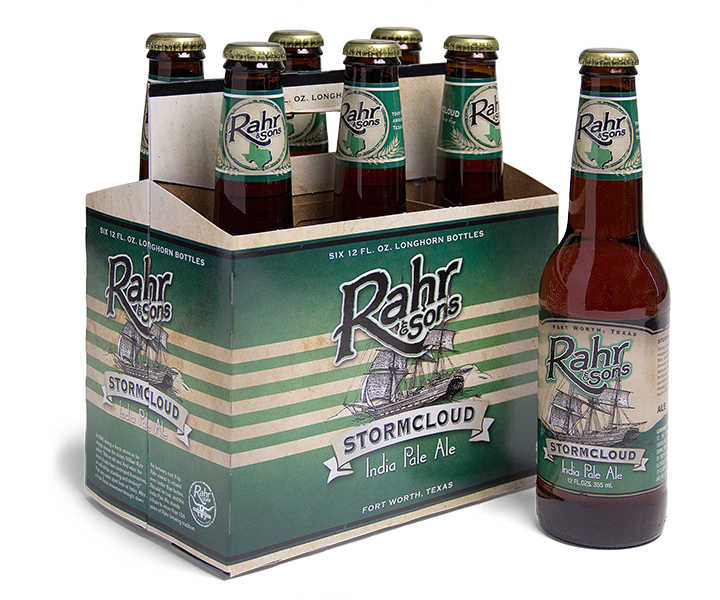 Image credit: Rahr & Sons Brewing Co./GCG Marketing. There may be 60 or more locally-brewed IPAs, but only one has brought home a medal from one of the industry's two major competitions. 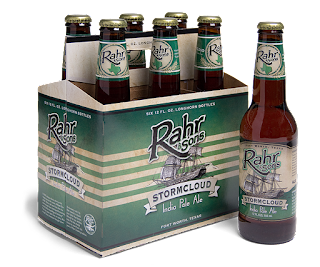 Stormcloud, which was first produced by Rahr & Sons in 2007, won a silver medal in the English-style IPA category at the 2014 World Beer Cup. It's billed as a German-style IPA, due to its incorporation of native hop varieties like Tettnanger and Perle. In addition, Stormcloud is brewed with Vienna malt, an ingredient found in many traditional German-style beers (Vienna lagers, Oktoberfests, bocks). Labels: #IPAday, history, India pale ale, North Texas, Rahr & Sons Brewing Co.